Forget gravy trains... this one brings you endless fizz. 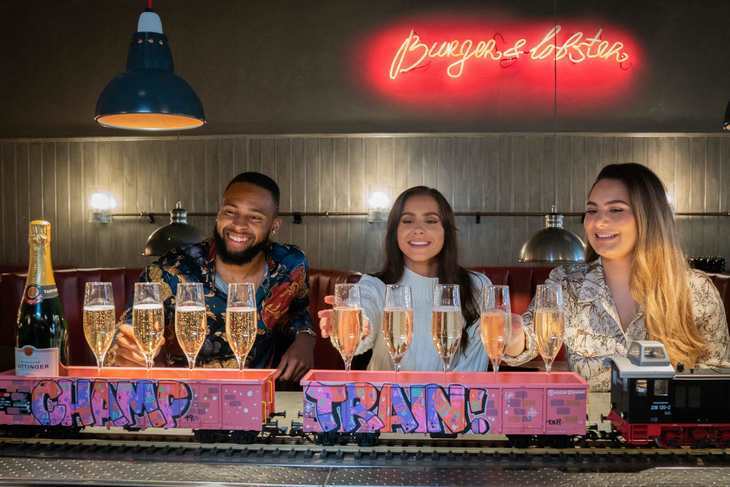 Burger & Lobster in Soho is launching a bottomless brunch, where diners are served unlimited* flutes of champagne — shuttled along its 9-metre-long bar by miniature train. Like catching an actual train in this country, it doesn't come cheap. A ticket to use the bottomless fizz express comes with a £25 add-on to the basic brunch menu price. Still, at least you get more bang for your buck than upgrading to first class on Virgin. On a personal note, we're slightly miffed. We've long talked about establishing out own miniature train/craft beer bar, as inspired by Vytopna Railway Restaurant in Prague. Alas, our plight to raise the requisite funds ran out of steam. 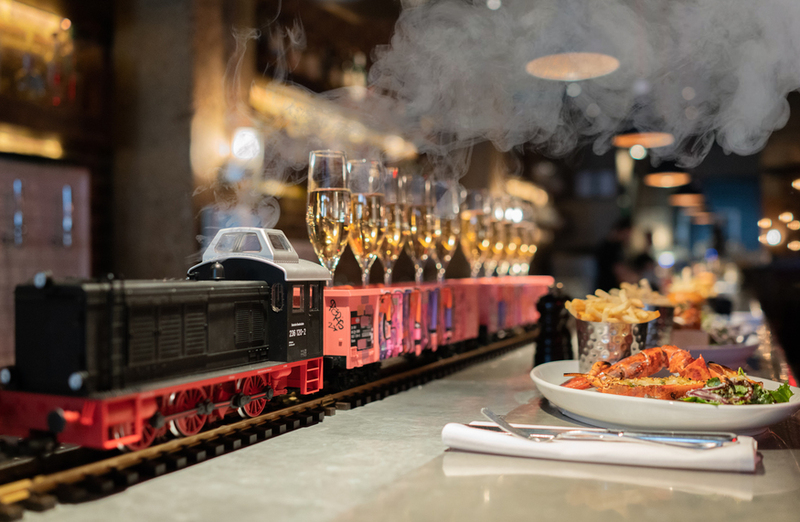 The Champagne Train launches at Burger & Lobster in Soho, on 29 March. It runs until 14 April. After which it'll presumably be nationalised.